Hatch Homes is the best rated siding replacement contractor in the city of Hendersonville, North Carolina. Hatch is a siding installation specialist who is the local certified Hardie Siding contractor. 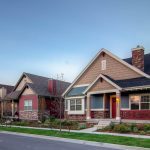 As a member of James Hardie’s Contractor Alliance Program, Hatch Homes offers the best Hardyplank siding installation at prices other Hendersonville siding contractors can not match. Our company also installs Mastic vinyl siding products. In addition to siding, our company also provides Hendersonville residents with window and roof replacement. The goal of Hatch Homes is to re-engineer the home improvement customer experience for homeowners in Western Carolina. Hendersonville, North Carolina embodies the classic charm of the Carolinas. The community rests 30 minutes south of Asheville and is located near Etowah, Mills River, Fruitland, Mountain Home, Balfour, Laurel Park Flat Rock and Valley Hill. Hendersonville is a close knit community made up of Carolina native and transplants alike. 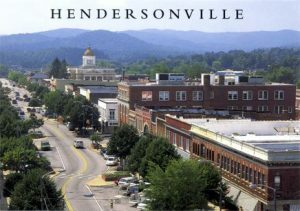 Many folks in the Southeast choose Hendersonville, NC for their retirement homes. Hatch Homes is the certified Hardy Board siding replacement contractor in Hendersonville, NC. Hatch is the only local company that is partnered with the manufacturer of Hardieplank. Hiring Hatch Homes as your siding replacement contractor ensures that you are receiving the best best installation quality possible in Hendersonville, NC. Our company also installs Mastic vinyl siding. Hatch is an Elite Preferred Contractor with Mastic and a Certified Siding Professional with the Vinyl Siding Institute. Looking to boost your curb appeal with some individuality? Call us today about adding stone accents to your siding’s facade. Finding a trusted window installation company can be a difficult task. Hendersonville, NC homeowners do not need to look any further than Hatch Homes. Call us today to set up a window replacement estimate with one of our certified window technicians. We offer Hendersonville homeowners with vinyl, composite and wood windows. 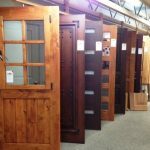 Our company has partnerships with several manufacturers including Simonton, Interstate, and Atrium. Our team is experience installing virtually every window type from double-hung to picture frame. Time to replace the old and outdated roof? Is your roof causing damage to your home by leaking water? If so, call Hatch Homes. Many local roofing companies provide inadequate craftsmanship and a lack of professionalism.Our company strives to provide Hendersonville, NC homeowners with the exact opposite of the fly-by-night roofing contractors that plaque the industry. Hatch installs asphalt shingle roofs, metal roofs, and composite roofs like synthetic slate. Our team has experience installing every roofing system under the sun.